Houston Criminal Lawyer | Harris Fort Bend Montgomery County Criminal Attorney: Houston Criminal Defense Attorney Jim Sullivan Asks: Do You Identify with the Very Successful or the Underprivileged? Houston Criminal Defense Attorney Jim Sullivan Asks: Do You Identify with the Very Successful or the Underprivileged? Does your defense attorney identify with the power and achievements of the very successful or with the needs and sufferings of the underprivileged? Where does your attorney office? Does he pay excessive rent to office in a mansion? How much does he charge? How lavish is his lifestyle? Does his heart lie with the wealthy elite in River Oaks or in representing the underdog, the folks struggling to keep their heads above water in these uncertain economic times? Does it matter? Attorney Jim Sullivan purposefully keeps his monthly overhead expenses down so that he can pass the savings along to his clients. Unlike his colleagues who pay exorbitant rent to have fancy offices in the Heights, downtown or Galleria area, Sullivan has a modest office in northwest Houston. Sullivan understands that offices are mainly used to meet with clients and to prepare cases for trial. If you need a Houston criminal lawyer who truly cares about his clients no matter if they are a "have" or a "have not", you can call Attorney Jim Sullivan at 281-546-6428. 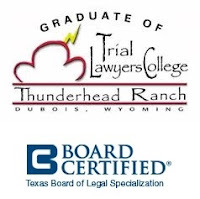 Jim Sullivan is also Board Certified in Juvenile Law by the Texas Board of Legal Specialization. Juvenile Law is different than criminal law. Note: Among the more than 83,000 active lawyers in Texas, there are only 38 lawyers Board Certified in Juvenile Law in private practice. The other 27 such lawyers work for the government.